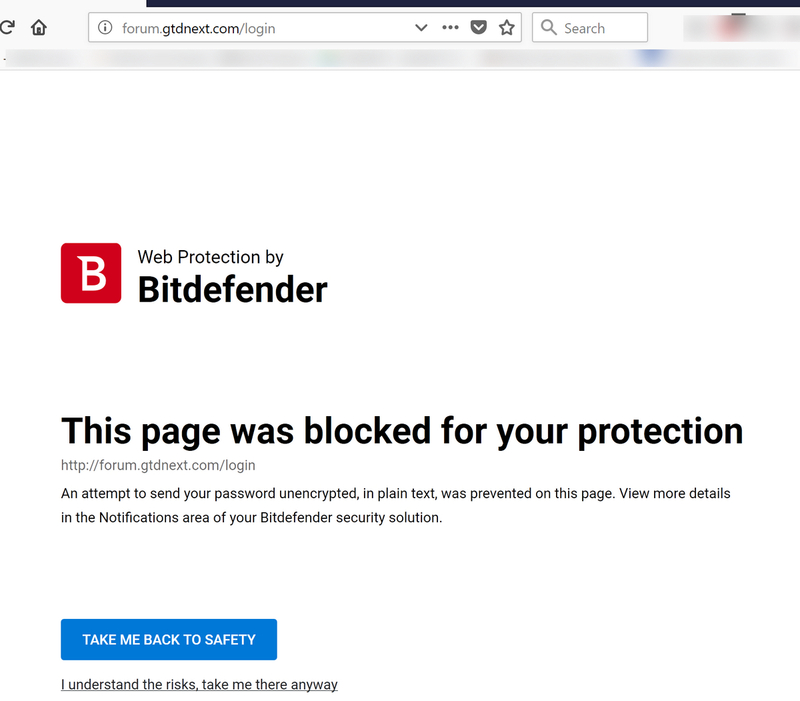 "This page was blocked for your protection"
Just a small point, but my anti-virus software (BitDefender) didn't like the way that my password was sent unencrypted to the server. Screenshot below. Trying to help. This is for the forum, which does not use httpS. The app uses httpS so it is sending everything securely.